Our lighting design team are here to help you achieve inspirational lighting effects for a pied a terre, town house, country house or garden using our discreet and unique product collection. 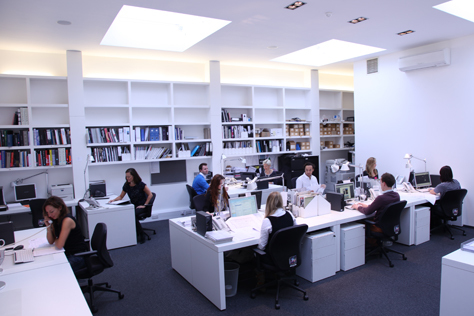 The first meeting with one of our lighting designers can either be on site or in our London showroom. During the meeting, the lighting designer will go through your plans and discuss the project in detail with you. For a showroom appointment, you require architectural plans preferably at 1:50, with ceiling heights and any additional information such as elevations and the layout of any furniture. Photographs of a room are also very helpful. If a room or entire home is being refurbished, it is always preferable for our designers to visit site. Since many fittings require a recess depth of 120mm/4.5 inches into the ceiling, it is helpful to make sure there is sufficient space. If you cannot recess products, for example in a concrete ceiling, we can design appropriate solutions. Our hourly rates start from £85 an hour plus VAT, alternatively we can prepare a fee proposal for site visits throughout the UK and abroad. Please remember that the lighting design needs to be done at the very beginning of a project before electrical first fix. After the first meeting, our designer will produce a sketch plan or, if architectural plans are supplied, we will mark them up. We also offer a professional CAD service. Working with DWG format drawings we can accurately set out the lighting design scheme directly onto your digital plans, ensuring efficient co-ordination and communication. Together with the plan, a detailed specification and quotation will be prepared on a room by room, circuit by circuit basis; listing the fittings, lamps, transformers, drivers and controls. Ancillary notes are given for each circuit, together with the positioning and installation details of each fitting. For maximum flexibility, dimmer or scene-setting details are included where required. To help you visualise the scheme, mood boards are included, too. We also allow for decorative lights, which you have sourced, to be included in the lighting design scheme. This package can be used for tender purposes or installation as it includes all relevant information an electrical contractor needs. Once you receive your pack, we recommend a follow up meeting in our showroom to run through the scheme and to see most of the effects in action. With each lighting design scheme, we provide a table showing Building Regulations Part L compliancy, which can be submitted to your building control officer. However it is the client’s responsibility to confirm the degree of energy efficiency that is required prior to commencing any work. When you are ready, our experienced sales team will take your order and answer any technical questions you may have to ensure a smooth installation. All orders are bagged up on a circuit by circuit, room by room basis for ease of installation on site, saving time and making life easier for your electrician. Depending on your location, we can also recommend a qualified electrician who is familiar with our fittings and arrange for a quotation for installation. We strongly advise the use of an approved electrician to ensure an accurate and cleanly-fitted installation. See FAQs. Commissioning a lighting scheme is an integral part of any lighting design. Your designer can visit site at the end of the project to ensure that the lighting is as designed, ensure all lamps and lenses are used to best advantage and help set up a control system if installed. The same hourly rates apply. When you are ready to book an appointment, please call our Design Secretary on 020 7371 9000.